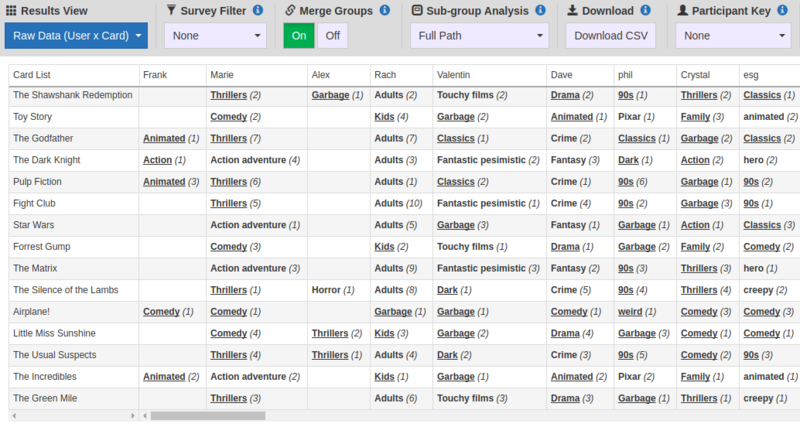 The Raw Data table shows a list of cards in the first column, and the group that each participant sorted that card into in subsequent columns. The group name is displayed with the position inside the group after it in (parentheses). 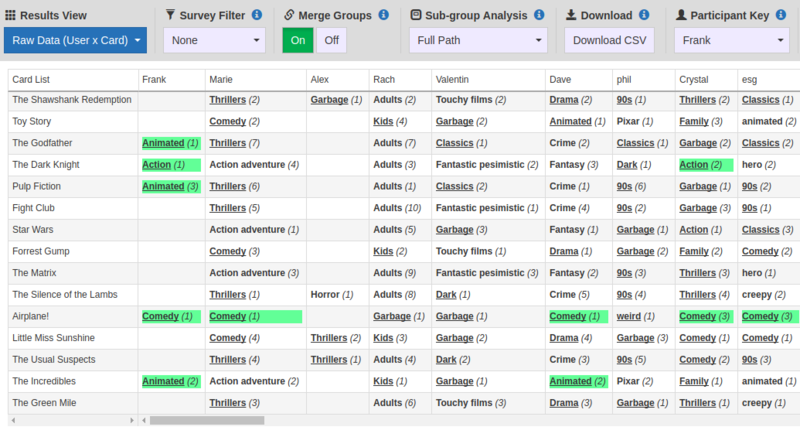 A screenshot from the raw data view. Clicking on a column header will sort that column allowing you to more easily see the grouping for that participant and the order the cards were placed within those groups. Clicking on a group name will highlight all cells with that same group name. 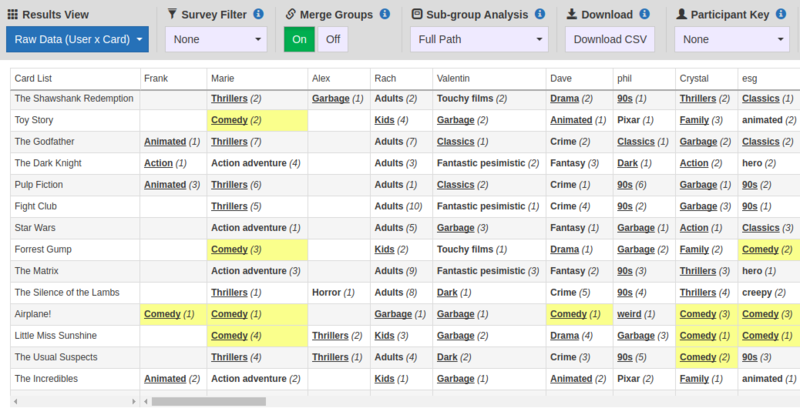 A screenshot of the card sort raw results after a group has been clicked - highlighting the same sorting. Selecting a participant in The Participant Key will highlight areas of agreement for all other participants in the table. A screenshot with the participant key set. Notice the green highlights indicating agreement with the chosen participant.